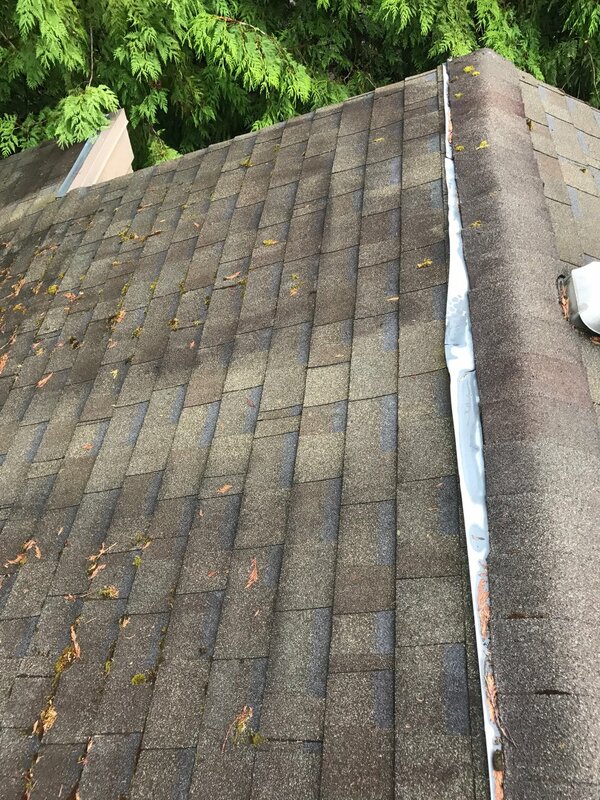 Most people who are considering a roof cleaning have likely heard of the age old "zinc strip". The questions that come next, "do they work? ", "do I have them?" and if not, "should I get them?" are frequently posed to us. To answer the question, "do they work? ", is really dependant on your expectations. For the most part and based on what most people expect, no they don't. Let me explain. They do work, but usually in a very limited fashion. 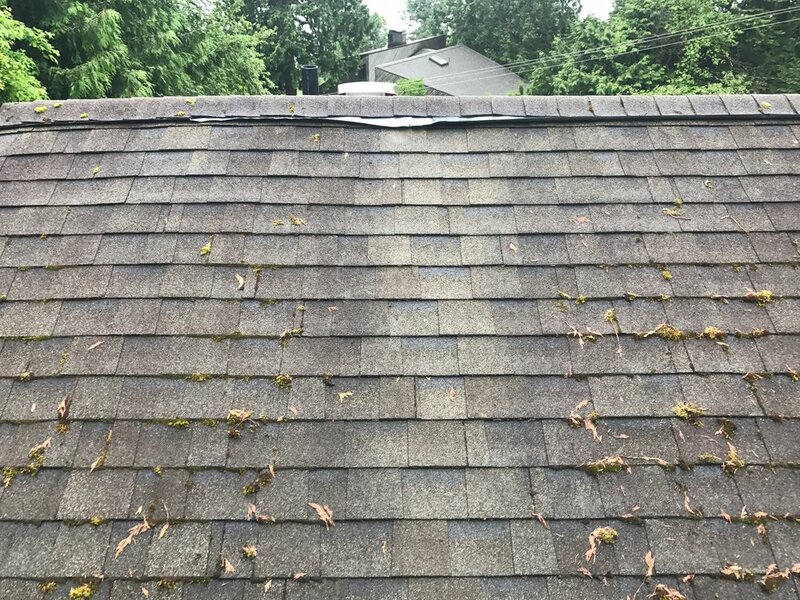 Typically you will see some clean results, but only for about 1 foot below the actual strip or in streaky lines caused by rain that leave the roof with small clean streaks while moss and algae grows in abundance everywhere else. In addition, the strips often begin to warp over time and even the small clean streaky sections will begin to see moss and algae growth. Some homeowners are unaware that they may or may not have zinc strips installed. Sometimes it is difficult to see the roof and we have had clients think that zinc strips were installed but ultimately, none were (or vice versa). If you are unsure, or would like us to let you know if they are working, we are happy to help. Knowing that, should you get them? If you don't already have them, I wouldn't recommend wasting money on them. As mentioned, over time they become weathered and tend to come loose from the roof, looking ugly and doing a poor job. Money is better spent on a proper roof cleaning and a long-term preventative spray schedule. Small investments on cleaning over the life of your roof will keep your roof always looking like new, but it will also prolong the life of the roof and the need for a costly roof replacement.